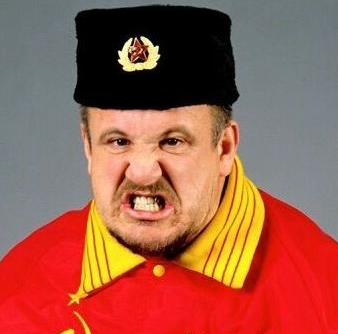 Josip Nikolai Peruzovic, one of the famous professional wrestler is popularly named as Nikolai Volkoff. He is best known for his performance in the World Wrestling Federation (WWF). He played for Villainous Soviet. He is well known Yugoslavs celebrity. He is famous for contribution to professional life. He is one of the very talented and brilliant wrestler. His ring names are Nikolai Volkoff, Bepo Mongol, Boris Brenznikoff, and Executioner. He is trained by Stu Hart and Newton Tattrie. 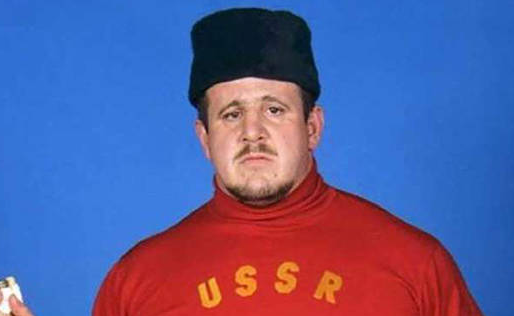 Passionate and enthusiastic wrestler, Nikolai Volkoff was born on 14th October 1947. He was born and raised in Split, PR Croatia, FOR Yugoslavia. His father is Croatian and his mother is Ukrainian. He also had a brother named Luka Peruzovic who is a Croatian footballer. His nationality is mixed. His astrological sign is Libra. At the small age, he began his career with Wrestling. Nikolai has got a great personality. Talking about his body, his height is 1.96 m. His weight is of 143 Kg. He has a balanced body with good health. He has attractive body figure. His smiling face and charming personality have helped him to gain the attention of all the viewers. Nikolai made his career debut in the year of 1967 where he met Newton Tattrie. He kept him under his wing and trained him. Later, he became a professional wrestler and Tag Team partner and worked for the National Wrestling Alliance including NWA Detroit, International Wrestling Association and many more where they won tag gold. In the year 1968, he started wrestling in Vince McMahon Sr.'s World Wide Wrestling Federation (WWWF). Now it is currently known as WWE. On June 15, 1970, he captured the WWF International Tag Team Championship from Tony Marino and Victor Rivera. Volkoff returned and appeared in a memorable match at a sold out Madison Square Garden and wrestled one of the sport's most famous champions named Bruno Sammartino in the year 1974. In the year 1976, he was masked as an Executioner. In the year 1980, Volkoff wrestled for Cowboy Bill Watts in the Mid-South region. Volkoff returned to WWF and teamed with the Iron Sheik in the year 1984. In the year 1985, March 31 the new team of Volkoff and the Iron Sheik captured the WWF Tag Team Championship from The U.S. Express. In the year 1986, he faced Hulk Hogan for the WWF World Heavyweight Championship on several occasions. In the year 1987, Volkoff was teamed with Boris Zukhov to form "The Bolsheviks", Tag Team. He left the WWF at the end of 1990 and in 1992, he returns to compete in Royal Rumble match. Then in 1993, again he returns to pin Barry Horowitz at a WWF Superstars All-American Wrestling. On December 30, 1994, Volkoff made his last WWF match where he defeated jobber Bob Starr. Volkoff was announced as one of the WWE Hall of Fame inductees for the Class of 2005 on 3rd February 2005. In the year 2006, Volkoff took part in the World Wrestling Legends and played against "Hacksaw" Jim Duggan. He appeared in WWE Television in over two years on 13th August 2007. On 10th March 2008 edition of WWE Raw, featured rematches from previous WrestleManias, the Iron Sheik and Nikolai Volkoff appeared to face against the U.S. Express (Barry Windham and Mike Rotunda). He was thrown out the first pitch at a Bowie Baysox baseball game in June 2013. Volkoff encountered Big E. Langston on his way to a match and sung him the Soviet national anthem on 6th January, 2014. Volkoff appeared for the Superstars of a Wrestling promotion in Bayville, New Jersey, where he teamed with ECW legend The Sandman on February 28, 2015. He appeared at Night of Legends at Billtown Wrestling in Williamsport, Pennsylvania on 5th March 2016 and sang the American national anthem and teamed with Cash Money. On July 29, 2018, at the age of 70, he died at home after being released from a hospital in Maryland. In the hospital, he had been treated for dehydration and other issues. Nikolai was a married man. He married Lynn, his wife in the year 1970. In the same year, he became an American Citizen. Freddie Blassie describes Volkoff as a "good family man" who helped Blassie reconnect with a daughter from whom he had been estranged for many years. This excellent wrestler makes good money from his work. His net worth and salary are kept in privacy but there is no doubt in the mind of his supporters and followers he is satisfied with his earning. He might have earned a considerable amount of net worth and property about which he has not openly spoken about in public. His exact net worth figure is still yet to get unfolded.